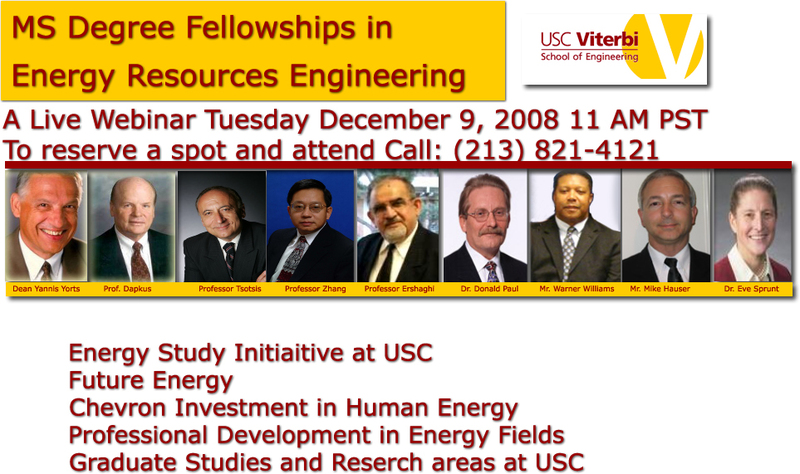 MS Degree Fellowships in Energy Resources Engineering was a live webinar that took place on December 9th 2008 at the University of Southern California. Prospective master’s students from across the nation were able to log in and learn about various energy related fields available at USC’s Viterbi School of Engineering. Also highlighted, was Chevron’s unique investment to award fellowships to outstanding applicants majoring in these areas.